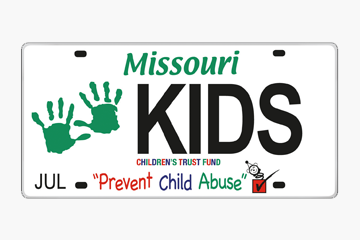 You can help prevent child abuse by proudly displaying the official Children's Trust Fund (CTF) license plate on your vehicle. CTF plates feature the distinctive child's green hand prints logo and a 'prevent child abuse' message. Give any time. 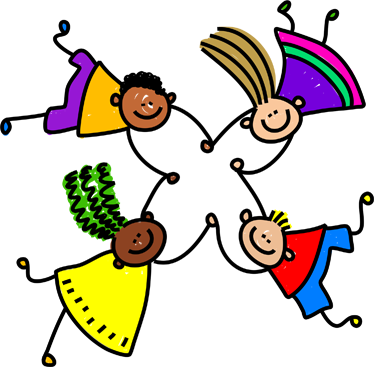 Please remember that CTF is a non-profit 501c(3) entity, so your contribution is tax deductible. Check off child abuse. 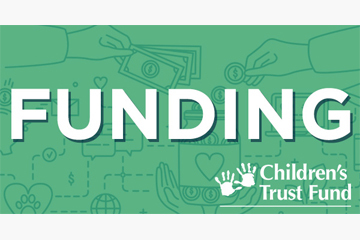 Look for the handprints on your Missouri State Income Tax Return and designate any amount over $2 to CTF by checking the box to contribute through the Tax Check-off program. Your contribution may either be deducted from your refund or added to the amount owed. The Amazon Smile program is an opportunity for individuals to contribute a little bit of their Amazon purchase price to the charitable organization of their choice, every time they shop, at no additional cost.